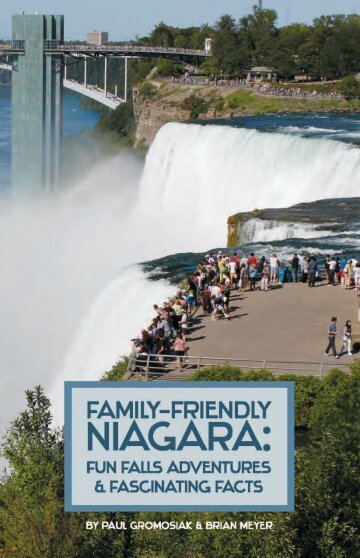 Family-Friendly Niagara: Fun Falls Adventures & Fascinating Facts inspires readers of all ages to become explorers, detectives and even friendly competitors as they experience one of the world's natural wonders. Written by renowned local historian Paul Gromosiak and journalist Brian Meyer, the book serves up dozens of games, challenges and other features that make exploring the falls a memorable experience. Even folks who don't participate in the interactive exercises will find this an information-packed guidebook that explores the falls' rich history, geology and unique qualities. The 68-page softcover book retails for $8.95 and includes about 50 photographs, maps and charts, including 15 full-color photos.